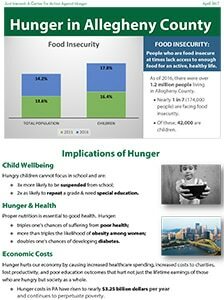 Food insecurity; the implications of hunger for child well-being, health, and the economy; and federal nutrition programs enrollment statistics for Allegheny County and Pennsylvania. The Earned Income Tax Credit (EITC) is one of the nation’s largest anti-poverty programs, and can increase a family’s annual income by as much as 45 percent. 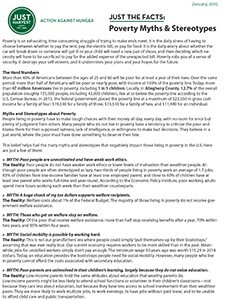 The EITC and the Child Tax Credit (CTC) are among the nation’s strongest tools to help working families escape poverty and achieve greater self-sufficiency. 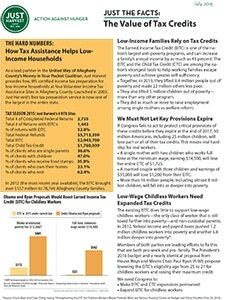 Read why low-income tax credits must be protected and meet some of the people right here in Allegheny County who benefit from them. House Bill 222, introduced by Rep. Mike Regan (R–Cumberland and York Counties), is aimed at blocking people with drug felony distribution convictions from receiving public assistance. HB 222 seeks to ban such individuals from receiving Temporary Assistance to Needy Families (TANF), food stamps, general cash assistance, or State supplemental assistance. 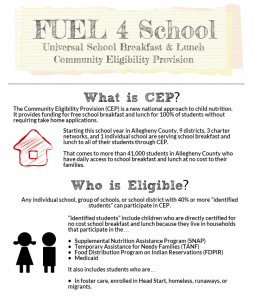 The Community Eligibility Provision (CEP) is a new national approach to child nutrition. It provides funding for free school breakfast and lunch for 100% of students without requiring take home applications. Starting this school year in Allegheny County, 9 districts, 3 charter networks, and 1 individual school are serving school breakfast and lunch to all of their students through CEP. 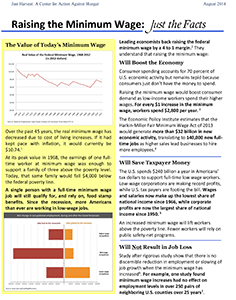 Over the past 45 years, the real minimum wage has decreased due to cost of living increases. If it had kept pace with inflation, it would currently be $10.74. 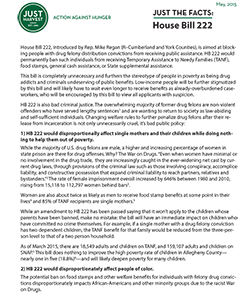 Currently, when families who are receiving TANF obtain employment, Pennsylvania disregards 50% of their earnings when determining their benefit level – the Earned Income Disregard. This helps families make a smoother transition into self-sufficiency while continuing to provide much needed assistance to the family. 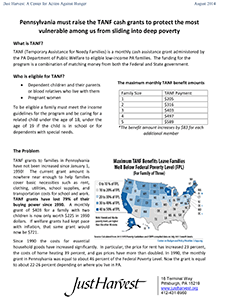 TANF (Temporary Assistance for Needy Families) is a monthly cash assistance grant administered by the PA Department of Public Welfare to eligible low-income PA families. The funding for the program is a combination of matching money from both the Federal and State government. 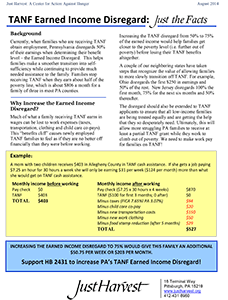 Pennsylvania must raise the TANF cash grants to protect the most vulnerable among us from sliding into deep poverty. 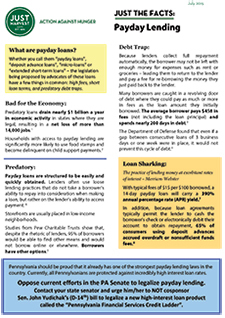 Whether you call them “payday loans”, “deposit advance loans”, “micro-loans” or “extended short-term loans” – the legislation being pushed by payday lending lobbyists in Pennsylvania have a few things in common: high fees, short loan terms, and predatory debt traps. In 2012, the Pennsylvania Department of Public Welfare under the direction of Gov. 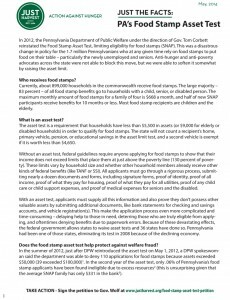 Tom Corbett reinstated the Food Stamp Asset Test, limiting eligibility for food stamps (SNAP). This was a disastrous change in policy for the 1.7 million Pennsylvanians who at any given time rely on food stamps to put food on their table – particularly the newly unemployed and seniors.